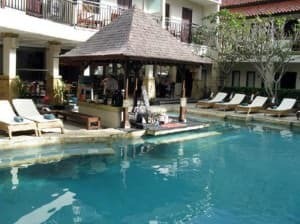 All the guest friendly hotels below are within walking distance of the club and bargirl scene of Bali and have been listed by their respective areas of Kuta, Legian and Seminyak. These establishments are also all very popular with like minded visitors and I have personally taken the time to contact each and every single one of them to confirm that their guest friendly policy is still in effect. Further more at the end of every hotel description you will find the hotel management’s reply on the subject. All establishments in this list offer both great value and good service while the rates themselves can greatly vary from budget to 5 star luxury. So, Where is the action at in Bali? The nightlife venues where you can find most of bar girls in Bali can be found along the main drag between Kuta and Legian in popular places such as Paddy’s night club, M-BAR-GO, Engine Room or Bounty Ship. In Seminyak your best bet is to hit Jalan Double Six, a popular nightspot street packed with trendy bars and clubs (Bacio, Syndicate, Club Double six, La Vita Loca, etc.) with some of them opened until the wee hours of the morning. The crowd in Seminyak is more upmarket and the bargirls who frequent these places generally look more mature and are of higher class. 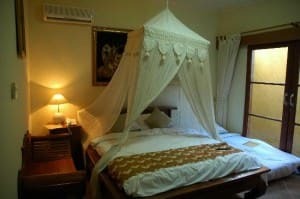 But just what is a Bali guest friendly hotel? A hotel that is considered guest or Bargirl friendly / Girl Friendly / Guest Friendly simply means that the establishment will allow and won’t charge any extra to take back an unregistered guest up to your room. A joiner fee can cost anywhere around from 10 to 25$ a night but could be even higher depending on the hotel policy. So if you unknowingly book a non-guest friendly hotel and plan on taking a girl back up to your room everyday for a week then you’re going to be paying a lot more money unnecessarily or worst outright denied entry. This is by no means an indication of their respectability as each hotel has different policies as long as you’re somewhat discreet. I have taken the time to e-mail them all personally to make sure about their policy and have given their reply with the hotel description. The Bali Garden Beach Resort is one of the few hotels right on the beach front so that's a great plus! Located on the Southern tip of Kuta it's just far enough to be a bit quiet at night though only a 5 minutes walk to a multitude of restaurants and shops. Those who plan to party every night can be reassured the nightlife is only a 15 minutes walk away to the downtown Kuta and poppies lane area.. Rooms are all large and have balconies: The Deluxe ones face the beach while the Superior face the garden and street. You can expect comfy beds, great working A/C, good water pressure and plumbing. The hotel grounds themselves are beautiful with well maintained gardens, 3 pools of which one has a swim up bar where the cocktails were delicious and well priced, loads of chairs, cabana's etc. The beach bar is also a nice place to hang whilst having a few Bintangs (local beer). Guest Friendly policy reply by the Bali Garden Beach Resort: "We have received your e-mail inquiring about our guest policies. Indeed you have to leave the ID of your lady friend at the front office. We are not charging any additional fee if your friend is staying with you overnight". The Bounty Hotel is on a great location just off Poppies 2 right near all the bars, massage parlors, restaurants, discos and just a short walk to the beach. This is definitely more of a party hotel than a place to chill out and relax with a 24 hour swim up bar, where young people travel to get drunk and party the whole time they are there (particularly during Aussie holidays) . A good place for the young and young at heart otherwise look elsewhere. 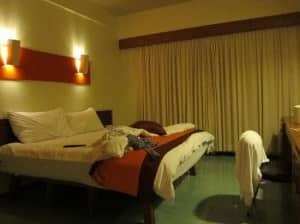 The rooms are nothing special for the price but had everything you need as the bed was clean and comfy, A/C unit worked well, shower was always hot and the room service is fast.he TV has a good range of English speaking channels (something important when nursing a bad hangover!) . Guest Friendly policy reply by the Bounty Hotel: "I'm pleased to inform you that our policy for visitor/local girls is, as soonest she arrive at our hotel area she only have to report to our security in charge and provided her ID without any additional fee. 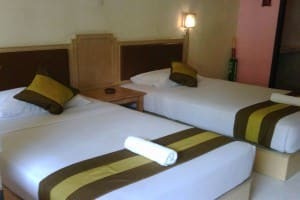 The max person to stay in standard room is 2 persons, additional person will be additional fee". The Flora Beach Hotel is located an alleyway. Which is not a bad thing in Kuta so you are sheltered from the noisy main street area but at the same time near the action and just a 5 to 10 minutes walk from the beach. The rooms are tiny to small, mine had was very clean with A/C, TV (with limited English channels),adequate bathroom facilities and a balcony overlooking the pool. Rooms all have free Wi-Fi and the bar had some excellent prices for refreshments. The hotel staff was always friendly and helpful. Not a bad choice! Guest Friendly policy reply by the Flora Beach Hotel: "We never charge joiner fee if guest bring back an unregistered guest. We keep their ID just to know the girl you bring to check in. Once again thank you very much for your e-mail and I do hope you book our hotel at Agoda.com". 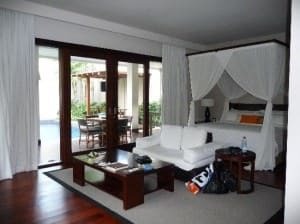 The Kuta Seaview Boutique Resort & Spa is impressive in may ways. If you've never been to Kuta this hotel sits on the main beachfront street. Right between poppies 1 and 2 (you simply can't be more centrally located and close to everything possible) it's only a short walk to the nightclubs, bars, massage parlors etc. But at the same time manages to provide you tranquil settings so you won't even notice you're smack in the middle of Kuta once you enter the resort. They even managed to make it it in the TripAdvisor's Travelers' Choice for 2015 in the Relaxation & Spa category of Indonesia! The room furnishings are very nice and typical of a 4 star hotel. Clean and spacious with a large & comfy king size bed, flawless A/C unit, flat screen TV, cold well stocked up fridge, safe, proper bathroom with toiletries and a roomy balcony with day bed, Wi-fi is available but not free. A beautiful pool area is is located next to the restaurant is the perfect place to have a couple of drinks before a night out. Recommended! Guest Friendly policy reply by the Kuta Beach Club: "Pleased to informed that we permit / allow staying guest bring friend to stay overnight without extra charge. Present the ID card of your friend is required.". 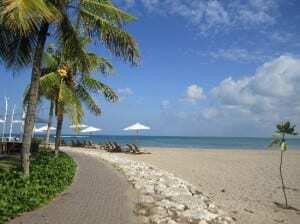 The Melasti Beach Bungalows location is fabulous, you have direct access to the beach near the hotel's pool area at the back and markets, restaurants, shopping malls out the front. The nightlife is only a 10 minute walk away. 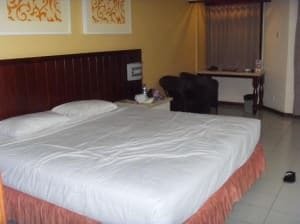 The deluxe room was very large and the bed of good quality. The majority have a big balcony to relax on on that overlooks the pool. During my stay the rooms were always cleaned daily. The pool is a basic but clean and a great place to cool off during the day with a drink. Guest Friendly policy reply by the Melasti Beach Bungalows & Spa Hotel: "If your brink the local girl from disco you have leave the ID card at security post and you can take it back when you finish. Best regards, Noniek -Reservation". The Location of the Mercure Kuta Hotel can't be beat! Just in front of Kuta beach and right next to Jalan Poppies 1 means you are within a few minutes walk distance to all the little massage parlors, bars, restaurants and night clubs. 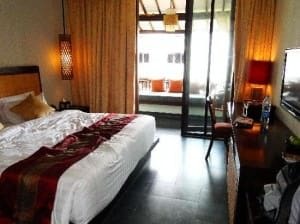 The room was a little small to my liking but perfectly clean and comfortable: Furnished with a queen sized bed, flat screen TV (±60 channels), a balcony with great ocean views, an easily adjustable A/C unit, minibar & safe. The water pressure in the showers was excellent. The rooftop infinity-edge pool is fantastic overlooking the beach and ocean. Free WiFi access is only accessible in the lobby though paid internet can be purchased for in-room usage. Guest Friendly policy reply by the Mercure Kuta Hotel: "Refer to your inquiry I would like to informed you that we don’t apply extra charge however please fully understand for any caused may be happened it will be your responsibility. I do hope my response will meet your requirement and looking forward for your reservation in the near future". 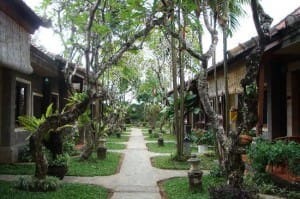 With rooms starting at 200$+ the Bali Niksoma Hotel certainly isn't within everyone's budget. But for those who don't mind to splurge on a trip I can start by mentioning they have been awarded TripAdvisor's Travelers' Choice a few years back in 2012 for the Trendiest Hotels in Indonesia. This joint rings all the right bells... 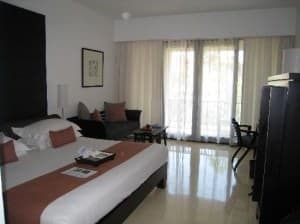 The location is second to none, right on the beach and within a few minutes walk of Jalan Double Six (think discos & girls). 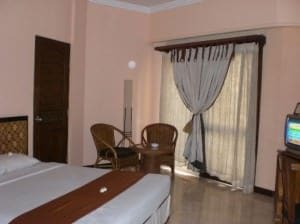 Rooms are great and very spacious with comfy king sized bed, a 42 inch Flat-Screen TV with great sound system, DVD player, safe, fridge, lovely bathroom, great veranda with views on the beach, resort wide wi-fi, etc... The bar and pool area are lovely with a large 2 level infinity pool that is furnished with ample lounge chairs overlooking the ocean. Definitely recommended if you got the dough! Guest Friendly policy reply from the Bali Niksoma Hotel: "Our registered guest is allowed to bring a companion with him or her as long as the accompanying person is coming together with the registered guest, and not sent or escorted by someone outside the hotel. The ID card of this person is to be left at the Front Desk and to be taken when she or he is leaving the hotel". The location of the Dewi Sri Hotel is very convenient, just a short 100 meters stroll down an alley and you are in the heart of the action alongside the best bars and clubs that Kuta/Legian has to offer. From there you can reach the beach going through Poppies 2 Lane in a 10-15 mins walk. The Dewi Sri hotel is made of two parts. An old building which holds all the standard rooms and newer buildings with the deluxe ones. While the standard rooms are basic but clean and have everything you need in them I would suggest to upgrade to the superior ones. The small bump in price is well worth it! 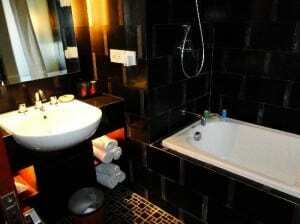 As these rooms are a lot bigger in size and come with a much more modern decor and great bathrooms. The resort has a nice swimming pool with a great little swim-up bar open 24 hours with some pretty good 2 for 1 specials during the day. 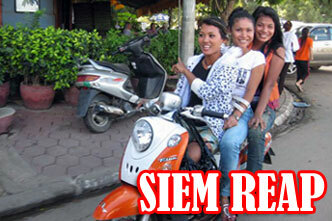 Guest Friendly policy reply from the Dewi Sri Hotel: "Your local friends just leave her original ID card at security. Regards, Noni". 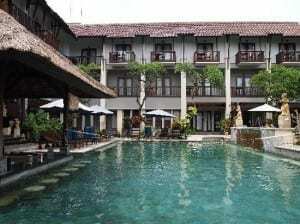 The Lokha Legian Hotel is close to everything Legian has to offer. You walk out and within a minute you're on Jalan Legian with it's load of bar & restaurants. The beach it only a 10 min walk down Jalan Padma. Location is superb if you're looking for a spot with a relaxing nightlife that's also close to Seminyak. You could walk your way into Kuta square in 20 mins or spend around $1.50 cab fare to reach the clubs and freelance scene of Kuta. 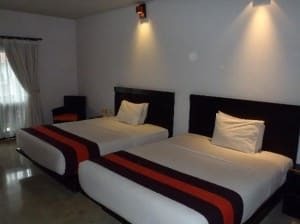 Rooms are nice and well maintained with very comfy king sized bed, Flat Screen TV 's and the air-con unit works flawlessly. 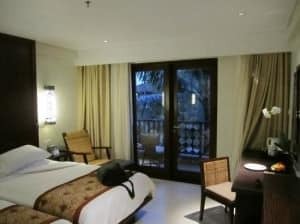 The Lokha Legian Hotel layout is in a U shape so all rooms overlook the pool which is great with a swim-up bar section. Free WiFi is only available in public areas. Guest Friendly policy reply from the Lokha Legian Hotel: "Regarding to the question, if you want to bring unregistered guest to the hotel overnight please understand that our security will check the body and bag, those guest also should leave the ID card during the stay. They only can take the ID card, once they leave the hotel. Please make sure that you don't leave the unregistered guest unaccompanied. Also, if you traveling by yourself and planned to have a friend staying overnight, please make sure you have booked for two persons. Please also be aware that when you bring friend to your room, we are not guarantee for any risk happened during or afterward such as loose or damage property". The Niche Bali hotel is right in the heart of all the action opposite to Poppies 2 lane in the midst of all the clubs & nightlife scene! On a positive note it's not directly located on the main street but 100 meters up a small alley (where a security guard greets you) which makes it pretty well sheltered from the noise. The beach is a 10 mins walk away. The hotel has recently been renovated and is very clean. The superior room I booked was very modern and had a wall mounted Flat Screen TV with DVD, iPhone/iPod docking station, safe, generously sized bathroom with great hot/cold water pressure and a balcony that looked directly over the pool. Also, the A/C unit didn't turn off when you left the room so you'd always come back to a lovely cooled room. All the rooms face the pool & pool bar which is next to their restaurant so everything is conveniently close to hand. Guest Friendly policy reply from the Niche Hotel Bali: "We do not charge any additional funds for this but our security will seek identification from this person regardless of if they are a Westerner or Local Girl. They will take a photocopy of her ID, just like we take identification and or view your passport on arrival. This provides security to all guests in the hotel as we know everyone inside the premises". The Padma Resort Bali at Legian is right in front of one of the best beach spots of Bali. 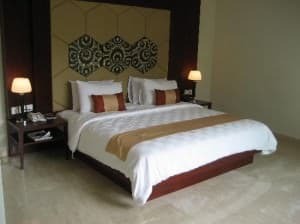 Located toward the end of Legian it's also very convenient for nightlife activities as Jalan double Six in Seminyak is less than a kilometer away. The discos/bars of Kuta are a bit further off but still very much doable if you don't mind a 20 mins walk or a short taxi ride at night. Definitely a good option if you want something with easy access to both Legian & Seminyak without having to deal directly with the craziness of Kuta. Now for the standards of this resort expect first class! Thought it's certainly not the cheapest option with rooms over 150 USD/night the Padma Resort Bali didn't win Trip Advisor's Travelers' Choice 2012 Winner in three categories for no reason... All the rooms are beautifully maintained, modern with all the expected amenities of a 5 stars resort to ensure you a great time. The huge pools + swim up bars are an excellent place to relax and cool off during the day while the grounds are all impeccably kept and a real pleasure to stroll around. Absolutely Recommended! Guest Friendly policy reply from the Padma Resort Bali: "Kindly be informed that our room rates is for single or double occupancy per room. We will charge for the additional 3rd person. If you would like to bring an unregistered guest to stay in your room, please register her to our Reception". 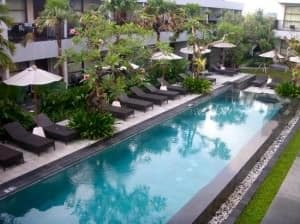 The location of the Pullman Bali Legian Nirwana is good, directly overlooking the quieter end of Kuta beach it's great a great base for exploring both Legian and Kuta on foot. The rooms are modern, spacious and equipped with extremely comfortable king size beds, beautiful big bathrooms with separate toilets, Flat-Screen TV's with a great range of channels to chose from and excellent Wi-Fi signal. 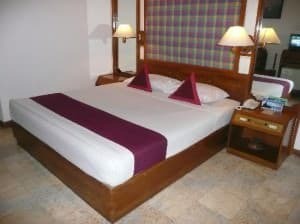 Rooms are kept immaculate as they are cleaned (non-intrusively) twice a day by the staff. The hotel has two pools, a rooftop infinity pool that looks over to the beach (an awesome spot to view the sunset!) and a main pool that is better shaded during the day and offers a good poolside menu, both have a bar (though no swim-up versions). Guest Friendly policy reply by the Pullman Bali Legian Nirwana Hotel: "Further to your inquiry, pleased do reservation for 2 people since your rate will be the same for 1 or 2 people. As long as your partner will be provide the ID, our hotel will appreciate it". 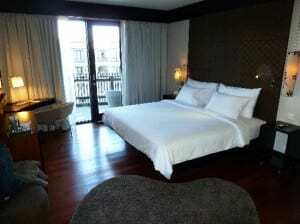 The Royal Tunjung Bali Resort is in a very good location in the quieter part of Legian. The beach in only a 5 minutes walk away and you are close to a lot of bars and restaurants. 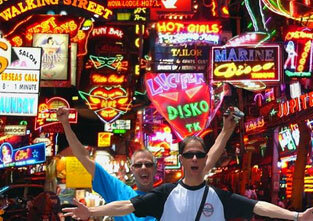 Concerning the nightlife it's strategically located midway between Seminyak's Jalan Double-Six and the discos of Kuta. The Royal Tunjung is a property of smaller size that houses only seven villas, so the atmosphere is very relaxing. I stayed in the one bedroom villa which was nice and big. The villas have the bedroom upstairs while the living area is downstairs. The kitchen part is very basic with a bench, sink, fridge & coffee/tea making facilities but I doubt you've come to Bali to do much cooking. The rooms were always kept very clean and the bed was extremely comfy. The gardens around the villas are also very clean, tidy and well maintained. The pool is not the biggest but since it's a smaller resort we had it to ourselves most of the time. Staff were all first class! Guest Friendly policy reply by the Royal Tunjung Bali Resort: "Regarding your question that you would be brought the local girl, it'sok, as long as she is not annoyance us". 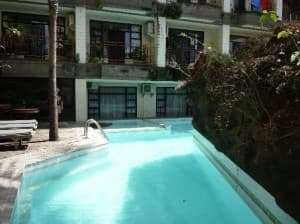 The Vilarisi hotel location is ok. You can hit the beach or Legian Road in just about 10 mins walk while Kuta Square is 30 minutes away. Not a bad alternative for nightlife neither as it's located midway between the discos of Kuta & Seminyak's Jalan Double-Six. Only drawback is the hotel overlooks a busy road with lots of traffic noise night & day so if you want your room to be reasonably quiet ask to be a few floors up (at least 2nd or 3rd). The hotel is a bit outdated but the rooms are fine with all the basic amenities, A/C, TV and the toilet was clean with proper hot/cold water pressure. This is by no means not your glamour style resort but you'll get value for $. WiFi is only accessible only in the lobby or restaurant. Guest Friendly policy reply by the Vilarisi Hotel: "We do not interfere should our guests wish to invite their friends to stay over with them but we will definitely ask for their ID Cards in order to have the record based on above policy. Should your room already include for 2 pax then no additional charge apply, but the next person will be charge accordingly. 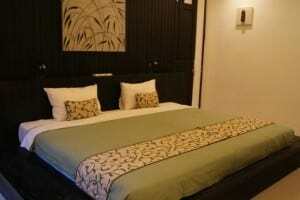 For Superior and Deluxe room book from Agoda usually already included for 2 guests". The Location of the Villa De Daun is fantastic! Bang in the middle of Kuta/Legian and within walking distance to everything it's tucked away just far enough to avoid any noise from the hustle & bustle of the main road. And once you reach the complex it's a true little piece of paradise! Quiet, luxury, and sublime gardens make this place the perfect getaway. 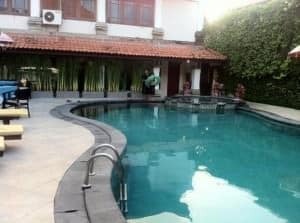 Of course premium service comes at a premium price but if you have no problems shelling out 300$ a night you will get TripAdvisor's #1 Ranked establishment for specialty lodging in Kuta/Legian. The villas are truly exquisite and furnished with nice & comfy king size beds, large flat screens TV with their own individual surround sound system, big amazing stone bathrooms, alfresco dining rooms complete with kitchen & daily stocked mini bar with all the complimentary refreshments you can think of and last but not least a beautiful private a 8 Meters X 3 pool. Not to forget a personal butler will look after your every wish during your stay. So if it's true 5 star luxury you're after and have the budget this is it! Guest Friendly policy reply by the Alaya Dedaun Kuta: "There will be no extra charge as long the number of person stay based on the room capacity (2 person in one bedroom)". The Amadeus Resort is a lovely hotel located right smack in the middle of Seminyak on Jalan Laksmana and along the main stretch of road. Expect a breezy 10 minute walk down to the beach and an extra 5 to 10 to reach Jalan Double Six for bars, discos and girls galore. Rooms have lots of space and come equipped with a comfortable bed, balcony (overlooking the pool), fridge, a safe (big enough for average sized laptop),iPhone/iPod docking station, kettle with instant tea/coffee, good sized bathroom and a TV with lots of channels. Downsides is there is no free Wi-Fi in the rooms (25000 rp/hour) but only in lobby. 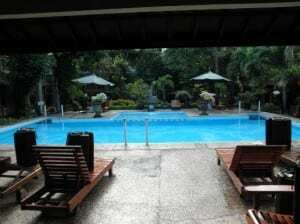 The pool area is very pleasant and clean with a multitude of deck chairs all around it and a swim up bar section. Guest Friendly policy reply from Amadea Resort & Villas: "Warmest greeting from Amadea Resort & Villas, a peaceful oasis in Seminyak. Kindly inform that you may invite a girl from the disco, but she would like to leave her ID at the Security Post". The Artemis Villa and Hotel is a great place is for anyone looking for a peaceful and relaxing retreat that's within easy reach of everything you need in Seminyak. Located 100 meters up an alleyway it's directly surrounded by a large choice of bars and restaurants, the beach is a 5 mins stroll away while the nightlife of Jalan Double Six road and it's lively clubs and bargirls are a 10 to 15 mins walk from your hotel. While there a are some standard bedroom type of accommodations the Artemis is mostly comprised of Apartment & Villas. I tested the apartment style rooms that were very roomy with a living/dining area, separate bedroom with a very comfortable king size bed and outdoor bathroom with shower and separate bath and toilet. 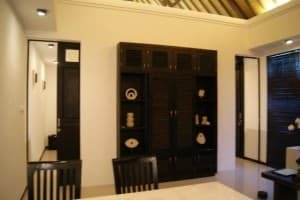 The room is a combination of traditional and modern design such as high thatched roof, big open air shower and modern fixtures with everything you could need or want. The pool and bar area is also really nice and never crowded. For the price it's good value. Guest Friendly policy reply from the Artemis Villa and Hotel: "Yes, you can do it but we need an ID without fees". 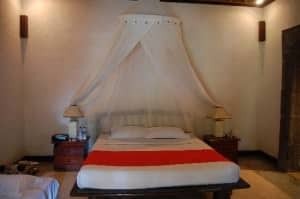 The Meriki is hidden in quiet location only 5 mins walk from Seminyak's main busy street. From there you can get to most points of interest by foot: The beach (950 meters), Seminyak's nightlife hotspot (1100 meters) or Jalan Oberoi for it's reputable bars & restaurants (400 meters). 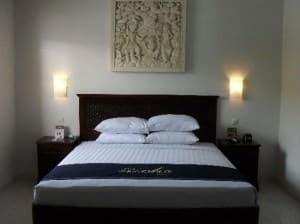 While not being in the 4-star luxury category the Meriki Hotel does offers a clean and decent place to sleep in Seminyak for a very low price. 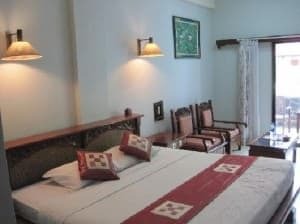 Rooms are large and spacious with a kitchenette corner, big beds, LCD TV with DVD, A/C, open-air bathrooms, plenty of hot water at any time night or day & Free Wi-Fi access. Property also has a pool that's great for a quick dip. In the end the Merkini definitely provides a great bang for your buck for it's location in expensive Seminyak. Guest Friendly policy reply by the Meriki Hotel: "Yes you can book your room no problem, we only record your guests ID, Thank you and best regards". The main selling point of the Pelangi Bali Hotel & Spa is it's 5-star beachfront location. 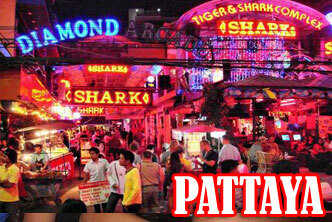 Right smack in the middle of the action you have everything you need within easy walking distance: The bars, late-night clubs, restaurants, shops, warungs on the beach, massage parlor girls, etc. it just simply doesn't get any better than this in Seminyak! Yes the hotel could probably do with a refurb but the rooms are spacious, clean and well appointed. 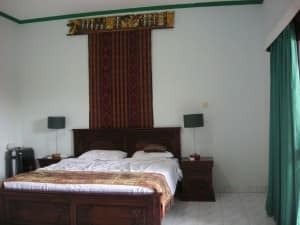 What matters in the end is having a good comfortable bed, strong hot water shower/bath, nice and fresh air-con unit on all the time, TV with a lot of English speaking channels, proper Wi-Fi and clean facilities in a safe environments in which the Pelangi Bali Hotel ticks all of these boxes. The Pool is also amazing with a great swim-up bar and the customer service outstanding. The only negative I could think of is there is no in room safe deposit box but you can use those provided at the reception for free. Guest Friendly policy reply by the Pelangi Bali Hotel & Spa: "We are pleased to inform you that it will be fine to bring a girl from the disco in the night during your stay but she has to leave her I'd at the front desk and it will be free of charge unless the girl will join you for breakfast in the morning, so we will charge for the food". The Putu Bali Villa And Spa Hotel is in the quieter northern part of Seminyak. The popular beach areas (Ku Da Ta beach) can be easily reached in either 15 mins walk or a 5 mins cab ride. Some of Bali's finest bar and restaurants like Potato Head, Woo Bar, Sarong, Biku are directly in it's vicinity (1-5 mins walk) but getting to the nigh-time action in Jalan double Six for the popular late night clubs and bars is another thing as it's a little over 2KM meters away. Not the end of the world either as most girls have motorcycle and will be more than happy to have you hop on-board back to the hotel and otherwise getting there if you don't want to walk is just a short taxi ride away. The Putu Bali is a smaller resort with only 20 villas built in traditional Balinese style cottages that are spread through a lush garden. The villas themselves are wonderful! Modern, clean and comfortable they all come with king size beds, flat screen TVs with surround sound & dvd player, gorgeous outside bathtub and open shower & a small kitchenette with refrigerator. You can leave your air-con on so you come back to a nice cool room as you don't need the key to turn the power like in a lot of hotels. The Pool is ok and nice to cool off in, breakfast also gets two thumbs up. 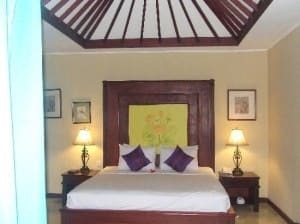 Guest Friendly policy reply by the Putu Bali Villa And Spa Hotel: "Thank you for your email, Pleased to let you know our capacity in the room 2 person only. If you would like to add anyone else you have to pay extra bed with additional cost USD 50Nett/room/night inclusive breakfast for 1 person". Tony's Villa is located in the Petitenget area far up north in Seminyak. While still close to many popular bars & restaurants like Potato Head, Sarong, Woo Bar, Biku and just a 10 minutes walk to the beach the hotel is not exactly central and It will take you a good 20-30 minutes on foot ( or 5 mins cab ride) to get to the real late-night club and bar scene around Jalan double six. 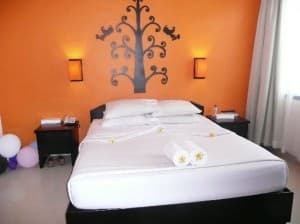 Tony's Villas still has much going for it with it's beautiful accommodations set in gorgeous lush gardens with colorful flowers all over, clean and spacious rooms with comfy king sized beds, flat-screen TV, open-air bathroom with proper hot running water, Mini bar and good AC units. Resort is very well maintained and staff competent and always willing to go the extra mile. The downsides are that there is no in room Wi-fi reception which is only available in lobby. Also the club across the road on week-ends can get pretty loud so ask for a room the furthest in the back. Guest Friendly policy reply from Tony's Villa: "Regarding to you below email, you may take your friend to your room without any additional charge and she must bring her ID Card to our reception while she comes to visit you".